So, you have decided that you want to keep chickens for one reason or another. Here is what you will need to know in order to do so successfully. Once you have decided to keep chickens, you will need to consider where and how you will house them. The coop for the chickens will more than likely be the most expensive thing in this endeavor and there are quite a few different types and designs that you can find. This tends to be one of those situations where you get what you pay for, but some of the cheaper wooden chicken coops (or houses) will last you a good 7 years or more if you give them a coat of wood protectant regularly and if you properly maintain them. This can mean replacing a roof that can blow off in terrible winds, replacing latches, etc. If possible, take a good look at the workmanship and quality as well as the quality and thickness of the wood that is used. Obviously, wood that it of higher quality will last you longer, but the cost will go up with the quality. Chicken coops can be either very basic or really quite beautiful. If you are handy with tools and wood, you might even decide to build your own chicken coop, even out of pallet wood! It just needs to do the job it is meant for, such as providing a draft-free, dry, and well-ventilated shelter for the chickens. The wood, ideally, should be pressure treated to ensure that it doesn’t deteriorate within the first year. Fittings, screws, and nails need to be ones that are galvanized so that they won’t rust. 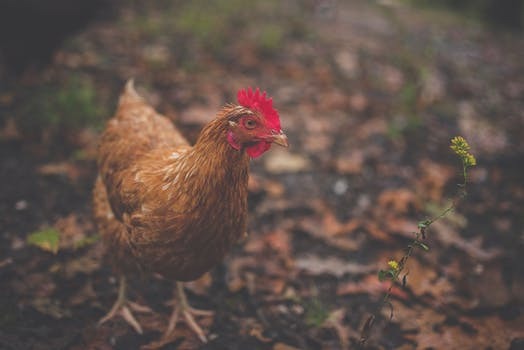 When you purchase a chicken coop, you should preserve or paint it in order to give it the possibility of lasting longer. 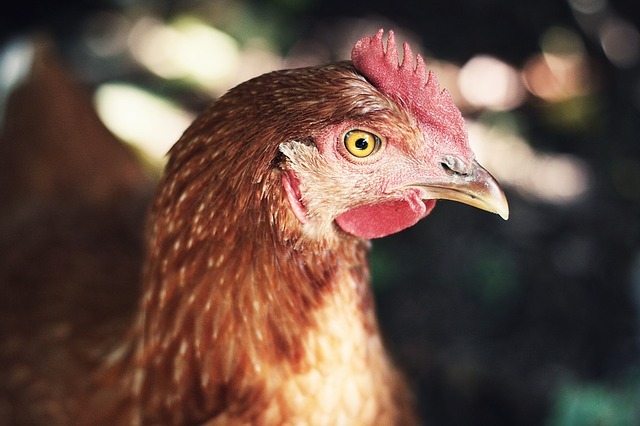 If you happen to be treating your coop, keep in mind that the protectant should be animal-friendly. You should also let it completely dry before you let any of your birds near it. If you aren’t sure, look on the can of protectant for a customer service number. Call and ask them about it. Essential features. 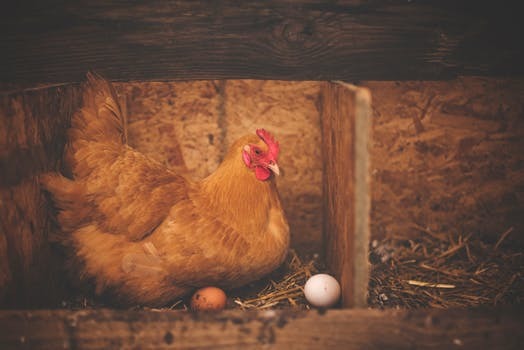 Some of the features that are essential when it comes to chicken coops are things like perches that the chickens can roost on, adjustable ventilation, and nest boxes. You also need to think about the ease with which you can collect the eggs as well as how difficult it will be to clean it when necessary. 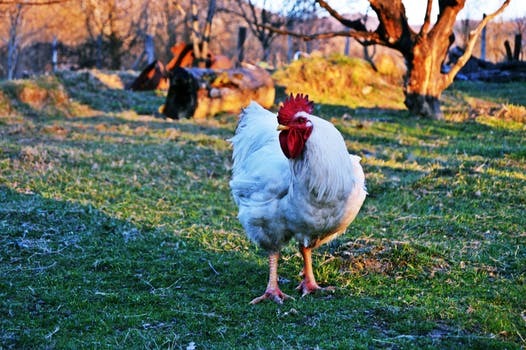 Spending a little bit more for a chicken coop that features a large access door as well as a droppings board can actually save you many hours of frustrated struggling for as long as you have that coop. 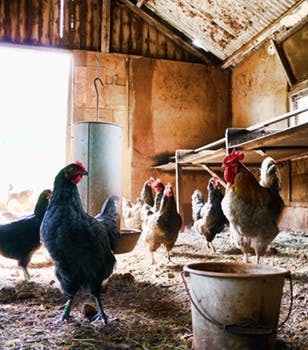 At the bare minimum, your chickens will need to have somewhere private for them to lay their eggs, be safe from any sort of predators, be out of drafts, and be kept dry. Keep in mind that if there isn’t any sort of shade in the chicken run, your birds will tend to use the coop as a source of shade and respite when the weather is hot or sunny. The floor of your chicken coop can be covered with chopped cardboard, straw, or even wood shavings. Cardboard and straw compost quicker. If you have a vegetable or flower garden, this can be used as fertilizer. In order for them to be healthy, chickens need to be outside. Your chicken run could be the entire backyard, or a small pen or fenced area. Whichever you choose, it will always be the best option to give them the largest run you can so that they will be able to have plenty of free ranging. There are quite a few benefits to giving them a large run to free range in. They will be healthier and happier. This means that they will cost less to keep and be able to produce more of the eggs that you want. The chicken run should be secure, so that it can keep out predators like foxes and raccoons while also keeping your chickens in. If you can, buy a bit of wire netting for fencing, and bury it at least 8 inches in the ground so that predators will be stopped from digging under your fence. You might also want to cover the area with a chicken wire roof. Make sure that the chicken wire you buy and use to fence is tall enough to both be buried and for you to still be able to walk in comfortably. If you live in an area where foxes or raccoons are an issue, you might also consider getting an electric fence. Building on the fencing to keep them safe from predators, chickens can also be enclosed in a coop that is fox and raccoon proof. Sometimes, you will find that neighbors can be happy to help feed your chickens in return for the fresh eggs. However, that doesn’t keep them safe, it just feeds them. At night, the chickens need to be in their coop because that is the time when they are most vulnerable to predators. One gadget that is great for this is the automatic pop hole opener and closer. These lock the chickens in at night but also lets them out in the mornings, while it also keeps them safe. If you are able to afford one of these, they are highly recommended. They are worth the investment and can give you peace of mind when it comes to the chickens being protected at night. The batteries in these can even last longer than a year! You can also get a module that is a digital timer for these that will make them remain closed until a time of your choosing in the mornings. This can be extremely helpful in the summer when the sun rises early, and the raccoons and foxes and their young are out hunting. Chickens are like every other thing on the planet that eats. They need a diet that is balanced. In eras gone by, people used to feed chickens the scraps from the household and allowed them to forage for the rest of what they needed. Quite a few people will tell you that their ancestors allowed their chickens to live on nothing but scraps and that they will be ok with that sort of diet. The thing is, most of the time, the birds will not be ok with a diet like this because they won’t be getting the ideal balance of the nutrients that are necessary for them to be healthy. 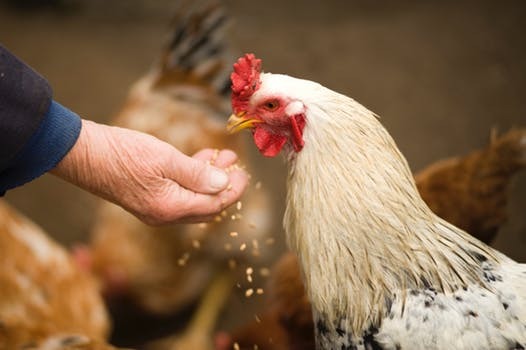 The good thing is that nowadays there are special feeds that have been specifically formulated for chickens and that contain the perfect balance of minerals, vitamins, and nutrients they need. If you desire for your birds to be healthy and to produce as many eggs as possible, it is to be advised that you use one of these special feeds. You will find them available as powdered mash or as pellets. As far as prices go, the mash tends to be more cost-effective, but chickens will just pick out the bits they prefer and leave the rest so that it will go bad. Because of this, it is typically better to feed your laying hens pellets. Young growers and chicks will need growers pellets and chick crumbs. Keep in mind that you will need to have enough feeders for the chickens. There really is a pecking order and if you don’t have enough feeders, the chickens at the bottom of that order can find it difficult to get to a feeder if the other chickens can stop them. There are quite a few different types of feeders out there. The plastic ones tend to be more cost effective than the ones that are galvanised. You can hang them right inside the coop or you can get a few plastic rain hats to cover the ones you leave out in the open. There are little bars made of plastic that will prevent them from flicking out those parts that they don’t like, so you get as little waste as possible. According to DEFRA ( the Department for Environment, Food, and Rural Affairs), chickens should not be fed your kitchen scraps. However, if you do feed them allotment or garden scraps that have not been in or near the kitchen, just be sure that you watch the quantities. Feeding chickens scraps that make up more than 20% of their diet can mean that egg production is decreased. Also, hens that are fat won’t lay eggs at all. Some of the common foods and plants that can be poisonous to these birds include rhubarb, potato plant leaves, and avocado. You can feed them mixed corn for a treat, but make sure that you don’t overdo it. The yellow parts, or maize, can be fattening for them. One handful for each hen each day can be a general guide. Oyster shell grit and flint grit are also necessary. Flint grit assists them with grinding their food, remember that chickens don’t have teeth. Oyster shell grit has the calcium that they need in order for the shells of the eggs to be strong. Do not ever forget the water. There are water containers available in many different sizes that are suitable for chickens who are very young all the way up to large flocks of hens. Water containers, aka drinkers, need to be able to keep the water clean with no droppings in it. They should not be able to be easily tipped over as well as being easy for you to clean on an every other day basis. Drinkers should be able to hold enough water for 2 days. As a general rule of thumb, you will need at least a liter of water per chicken per day. The most critical thing is that they always have fresh water and that you remember to have enough of the drinkers for those birds who are at the bottom of that pecking order. This might mean that you need to have a couple of different drinkers in various places. Another thing that is good for chickens is apple cider vinegar. However, since it is acidic, it can’t be put into any galvanized containers unless you want to corrode them. For this reason, plastic containers for this are the most popular. The galvanized containers are strong though. Plastic has a tendency to break if you drop them when they are full of frozen water, but it can be useful to have the ability to see just how much water is left in the containers, especially when the weather is hot. Always keep in mind that your chickens can’t sweat. The only way for them to lose the heat when it is hot outside is to drink more water or pant. It is critical that you provide them with enough water if you want to ensure that they don’t overheat. Now, we have reached the difficult part. Choosing what type of chickens you want. For beginners, hybrids might be the best option. They are typically vaccinated and lay eggs better than the pure breeds. They are also a bit friendlier and don’t tend to be too flighty. 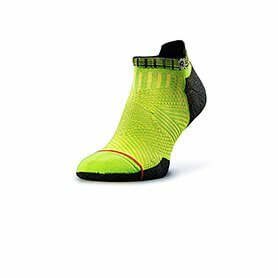 If you are considering getting a few purebreds, keep in mind that you might have to travel to get them. Some of them even need to be booked ahead of time. Think about why you want the chickens in the first place. You won’t need a cockerel in order for your chickens to lay eggs. Male birds also tend to make quite a bit of noise. This can disturb both you and your neighbors in the very early morning hours. Because of this, you might want to begin with just a few of the hens. You should also consider the size of the birds that can be accommodated in the space that you have available. You might choose from bantams or large birds. 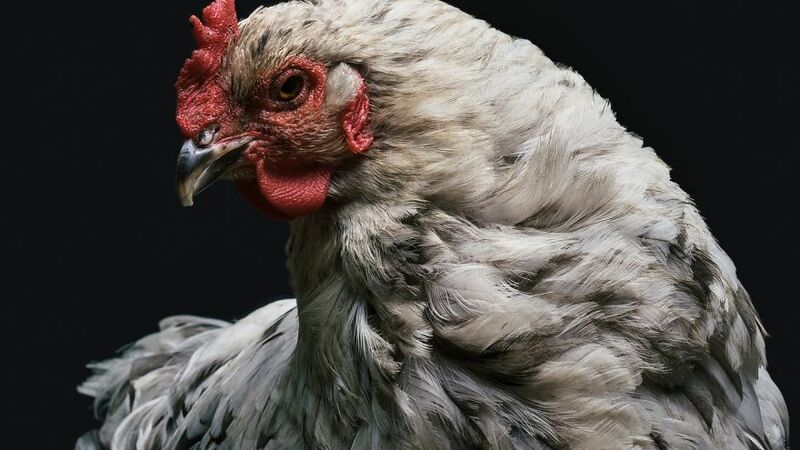 Unless your set up is quite large, it is to be advised that you don’t mix birds of different sizes so that there aren’t as many issues with the pecking. It is also a good idea to purchase all of your chickens at once from a single breeder and that have been kept together. This ensures that they know each other and get along so that they will settle in more quickly. Introducing any new chickens can rarely be a pleasant experience because they will have to re-establish their pecking order. When all is said and done, have fun with the experience and enjoy the birds. You might come to find that it is an experience that can be incredibly rewarding.